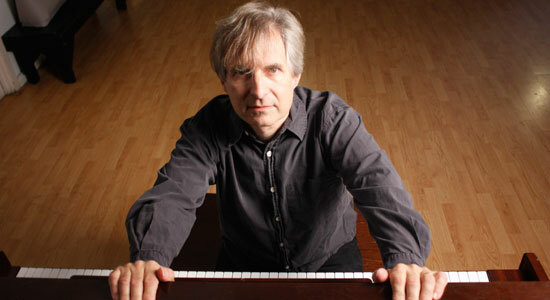 Although Chris Stamey is best known as being part of the original dB’s, the legendary jangle-pop combo from Winston Salem, N.C., that sprouted wings when they moved to NYC in the late ’70s, his solo work has always been equally fascinating. Soon after cutting Stands For deciBels and Repercussion, the seminal band’s longplayers tracked in the early ’80s, Stamey pulled up stakes and returned to churning out his own hackle-raising sound. He has resurfaced recently as part of a fertile duo with Peter Holsapple, but it’s albums like his current solo release, Lovesick Blues (Yep Roc), that keep his one-man trip smoldering like a late-October controlled burn in the N.C. tobacco fields while light rain begins to fall. 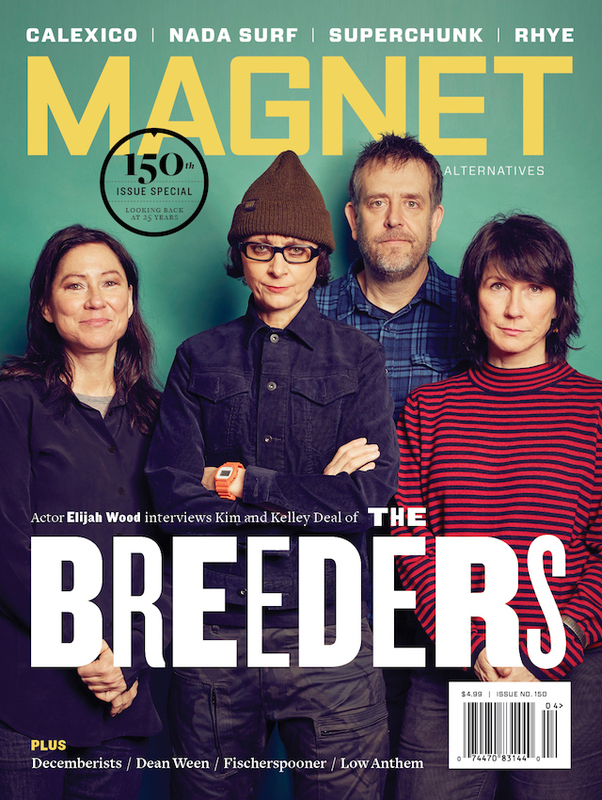 MAGNET recently caught up with Stamey, who will also be guest editing magnetmagazine.com all week. I’ve always loved your first solo singles from the early ’70s, cut before you formed the dB’s. One song in particular, called “The Summer Sun,” sounded like nothing I’d ever herd before, a lovely blend of “happy” and “sad.” What elements formed your “sound” back in those days? That song was different for me, too. I’d moved into an apartment building in NYC, on Bleecker Street, in 1977, and my upstairs neighbor was Alan Betrock, who among other things was a big authority on Phil Spector and the girl-group sound of the ’60s. I wrote that song under the influence of Philles and Rosie And The Originals and the Shangri-Las, via Alan. And once Alex Chilton got his hands on it as producer, it changed to a Beach Boys thing—the Beach Boys had built on the Spector sound, and of course Alex had toured with them a lot in the ’60s, in the Box Tops, and was friends with Brian and Dennis Wilson and knew a lot about that kind of recording, as well. It also had, to me, a ramshackle charm, based on the loose way we recorded it, with Alex doing each drum one by one and us playing all the instruments. You say in the one-sheet that Lovesick Blues gets close to that sound you hear in your head. What is that sound? Can you describe it? Do you, like me, have songs constantly flapping through your brain at all hours of the day? I don’t think I can describe it except in the way that a pen can describe a curve. But I think we all hear music; it’s just with the internet it gets drowned out by words and flashing lights. How was it working with Yo La Tengo on your previous solo release? Always loved those guys. Ever play with them live? I was actually in Yo La Tengo off and on, as extra guitarist, for a while. And I’ve played with them lots, even in the last decade. They are both kind and fearless, and somehow they have never banned me and my cello from their stage although you’d think … Ira and Georgia have participated, most recently, in the European concerts of the Sister Lovers material, as well. The record with them was somewhat of a busman’s holiday, to be honest; we just set up and played our first instincts, hoping for a few songs for an EP and ending up with “the world’s longest EP” if you look at it one way. It wasn’t one of those kinds of albums where you stop to reflect, it was more gung ho and damn the torpedoes. How did you hook up with Andy Partridge of XTC? I seem to recall he had a severe case of stage fright. I did see them a couple of times back in the day. A friend of mine, Robert Schneider of Apples In Stereo, wrote some material with Andy, but I don’t think much ever came of it. How was your encounter with Andy? I don’t know either Andy or XTC’s music well, but I like both. And I have found XTC to be a band that has songs that stop conversation when they come on the radio, as was needed in order to describe the couple on that trip across the wilderness. Andy produced part of a Peter Blegvad record I did in London years ago, and I was wowed by his musicality and precision and energy, clearly a guy with a lot on the ball, and the bearing of a leader of men, to boot. When, in the middle of writing all these nocturnes, I started singing that refrain to myself, I sent it to him with the others as a PS, and although he didn’t cotton to that one so much, he did have insightful comments about and a fondness for many of the rest of the tunes, and we had a brief email correspondence and a lot of his suggestions stuck. It’s one of the good things about our new connectivity, that creativity can spring from a distance and when least expected. But the album was truly produced by the excellent Jeff Crawford, here in N.C. I bought that Sneakers 12-inch with you, Mitch Easter and Alex Chilton when it came out 40 years ago. Does it amaze you that you’re still at it after all this time? It doesn’t, really. I started writing at my family piano when I was very young, so I’m used to it by now. I’m probably more amazed that I still care to eat food several times a day, I had thought that there would be some other solution once we started traveling to the moon regularly, it’s very unwieldy to have to look for parking or harvest crops just because you need to eat. And, while I’m at it, where are our jetpacks? What does your solo stuff do for you that you can’t get with the dB’s or with Peter Holsapple as a duo? I saw you guys play at San Fran’s Cafe du Nord a while back. I enjoyed that show; love to come back to San Fran. You are good with questions calling for deep reflection, but I may not be the reflector you hope to find, I’m more of a piece of glass most days! With any kind of creative collaboration, playing or writing or arranging, there are times when the whole is greater than the parts, and times when there are compromises all round to get there. It’s a bit braver to do solo things, and a good way to learn what you’ve got that’s yours, without anyone to watch your back. For me, it’s a good way to grow, to stretch. But songwriting, as opposed to academic composition, comes like a thief in the night, then you are left with this “song thing” and you try to nurture it based on the circumstances in which you find yourself. If Peter was here, these songs could have worked with him; if Van Dyke Parks was here, they could have worked with him. In point of fact, they found a life with the ad hoc, shape-shifting group of current N.C. musicians we are calling the Fellow Travellers, and with Jeff Crawford. Any music you’ve picked up on in North Carolina recently that you’d like to spout off about? That was one great scene back in the ’80s. I was in NYC in the 80s, so I can’t speak for that so much, in detail. But for me, this is a golden time here in N.C. These are the good old days! The Old Ceremony and Lost In The Trees and Megafaun have spearheaded a movement to expand our musical vocabularies and integrate “classical” (misnomer but … ) and rock and pop and jazz musics; Skylar Gudasz is writing great, abstract and yet personal material that sometimes reminds me of Joni Mitchell and Laura Nyro. Brett Harris, who has toured with the dB’s last year, has a record that is never far from our turntable. Tift Merritt is doing undeniable stuff. I could go on. There is an attitude of “taking it further” that is quite wonderful. And there are some players from the NC Symphony Orchestra, such as Shawn and Karen Galvin and Katie Wyatt, who throw in their cards with us from time to time and show all of us what excellence can sound like, at the highest level.